For most people, tax is something we pay, simply because we must. We seldom think much more about it, in fact, tax is something we'd rather forget. But the reality is that tax is the key to power. No government can survive without tax revenue - it is the fuel that every state, large and small, runs on. Many of the problems we face today, not least the enormous wealth gaps between rich and poor and between generations, can be traced back to our systems of tax. If you tax windows, many will sacrifice their daylight. If you tax cigarettes, some people will choose not to smoke, others will take up smuggling. Tax companies too much and many will relocate off-shore. 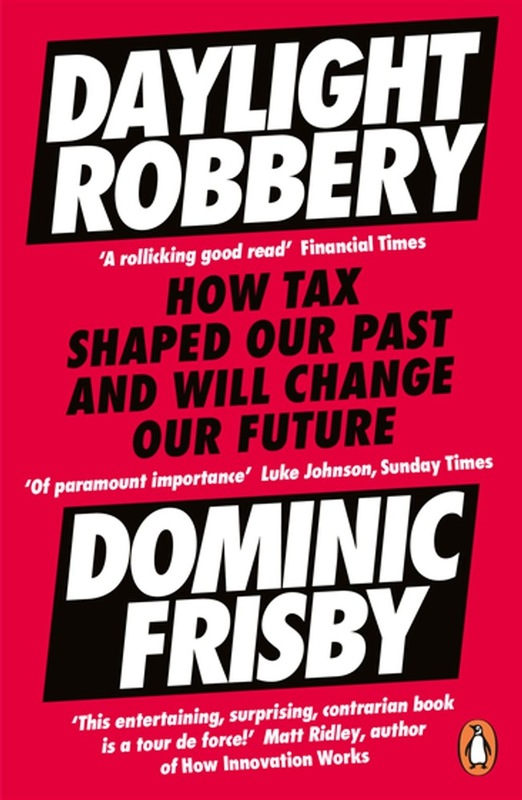 In Daylight Robbery, Dominic Frisby will offer an alternate vision of a system that is as old as civilization itself. It will take you on a whirlwind journey through the history of taxation, from the Ancient Mesopotamia right up to the present day, explaining the key dynamics of taxation around the world and arguing that governments are going to have to radically change who they tax and how if they are to succeed in the future. Acquista Daylight Robbery in Epub: dopo aver letto l’ebook Daylight Robbery di Dominic Frisby ti invitiamo a lasciarci una Recensione qui sotto: sarà utile agli utenti che non abbiano ancora letto questo libro e che vogliano avere delle opinioni altrui. L’opinione su di un libro è molto soggettiva e per questo leggere eventuali recensioni negative non ci dovrà frenare dall’acquisto, anzi dovrà spingerci ad acquistare il libro in fretta per poter dire la nostra ed eventualmente smentire quanto commentato da altri, contribuendo ad arricchire più possibile i commenti e dare sempre più spunti di confronto al pubblico online.